Definition: Brain ischemia, also known as cerebral ischemia or cerebrovascular ischemia, is a type of stroke that occurs when there is an interruption of blood flow to part of the brain. Oxygen and vital nutrients are carried in the blood through arteries, which are the blood vessels that carry oxygen and nutrient-rich blood to every part of the body. 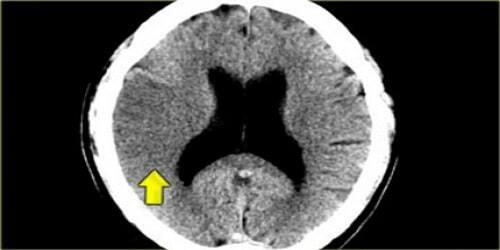 It is a sub-type of stroke along with subarachnoid hemorrhage and intracerebral hemorrhage. When this occurs due to a blockage, it can cause the death of the brain tissue, as well as the loss of certain brain functions. The longer the problem persists the more damaging the brain ischemia will be. Ischemia leads to alterations in brain metabolism, reduction in metabolic rates, and energy crisis. There are two types of ischemia: focal ischemia, which is confined to a specific region of the brain; and global ischemia, which encompasses wide areas of brain tissue. Thrombotic- this is the type of ischemia caused by blockage of a blood vessel, usually due to a blood clot or a sudden spasm of an artery. Embolic – this is a type of ischemia caused by a blood clot that forms in an artery and then travels to another (often smaller) artery, causing blockage in the destination artery. Hypoperfusion- this is caused by an overall lack of blood supply. A heart attack, severe blood loss from trauma or surgery can cause a decrease in overall blood flow to the brain. Atherosclerosis is one of the most common causes of brain ischemia. This has the potential to cause blood clots to form in the brain or to travel to the brain from another location, such as an artery. The main symptoms involve impairments in vision, body movement, and speaking. The causes of brain ischemia vary from sickle cell anemia to congenital heart defects. Symptoms of brain ischemia can include unconsciousness, blindness, problems with coordination, and weakness in the body. This type of stroke can occur at any time. The patient could be at rest or sleeping or engaging in a vigorous activity. In some cases, the person may lose consciousness when they have a stroke. Other times, they may remain conscious through the entire episode. Sickle cell anemia or other blood diseases. 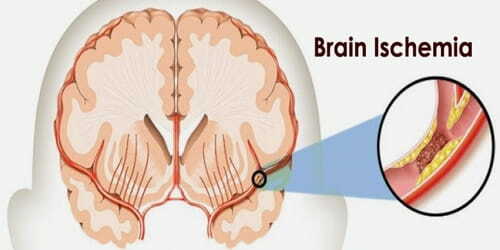 The symptoms of brain ischemia reflect the anatomical region undergoing blood and oxygen deprivation. The most common symptoms include loss of movement in any area of the body, often on just one side of the body. The patient may also suffer from weakness, decreased sensation or numbness in parts of the body, or tingling. 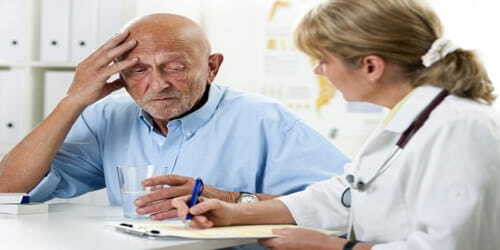 The patient may also have trouble speaking clearly and swallowing, as well as loss of memory and loss of coordination. Vertigo, loss of consciousness and urinary incontinence are other potential symptoms that those suffering from brain ischemia may experience. 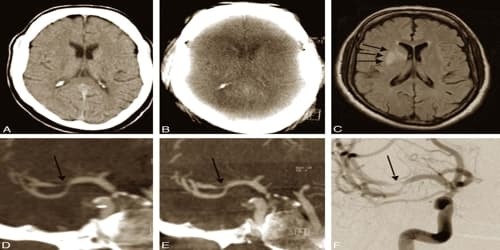 Diagnosis and Treatment of Brain Ischemia: During brain ischemia, the brain cannot perform aerobic metabolism due to the loss of oxygen and substrate. The doctor will utilize a number of different types of tests to give the patient including CT scans, MRIs, electrocardiograms, ultrasounds, and more to determine the exact cause and severity of the problem. The treatment of brain ischemia includes a number of medications that are used for the treatment and prevention of ischemic stroke. However, some of the medicine is controversial as it can cause an elevated risk of bleeding. Alteplase (tpa) is an effective medication for acute ischemic stroke. When given within 3 hours, treatment with tpa significantly improves the probability of a favorable outcome versus treatment with placebo. In some cases, surgery may be a proper course of action to help remove blood clots from the brain. Preventions of Brain Ischemia: Brain ischemia can be prevented. Some of the most common methods of prevention include taking active measures to improve overall health such as dieting, exercising, and quitting smoking and drinking. Patients who develop difficulty swallowing may need to use an IV tube or feeding tube in the stomach. In some cases, the swallowing difficulties will be temporary, but they can be permanent as well. Prevention of brain ischemia includes medications that can help people achieve their ideal blood pressure, as well as medications for lowering blood cholesterol and fat levels. Dietary modification can also help in achieving ideal cholesterol levels.